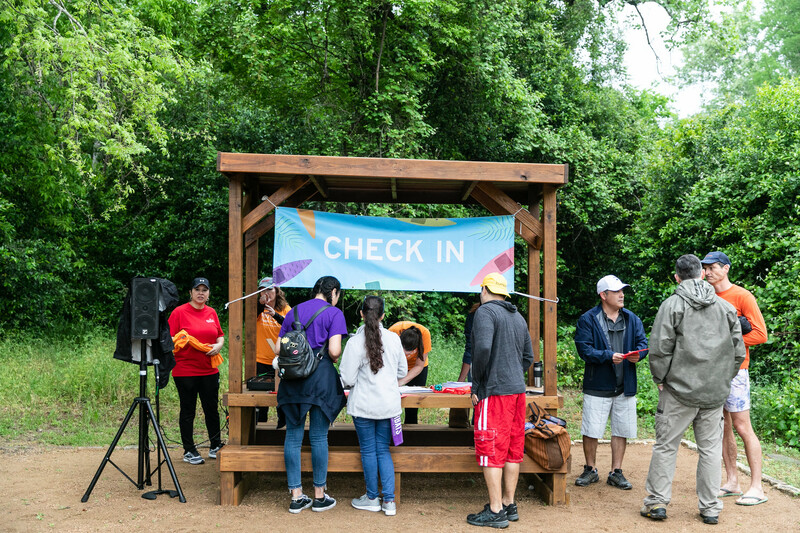 April 6th marked the date for the first annual Riverbat Paddle Battle, benefitting the Austin Community College (ACC) Foundation and hosted by American Constructors. 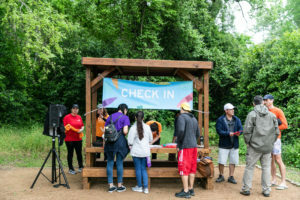 The purpose of the ACC Foundation is to develop community support for the college by raising funds to meet the growing needs of the ACC students. The Foundation provides scholarships ($1,000,000 granted in 2018), funds for equipment used to train students, and funding for relevant student support positions not covered by the ACC budget. 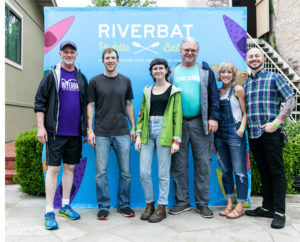 The first annual scholarship fund raising event Riverbat Paddle Battle kayak race took place on April 6 at Lady Bird Lake in Austin, Texas. The money raised went towards funding scholarships for ACC students and took place at the Rowing Dock. 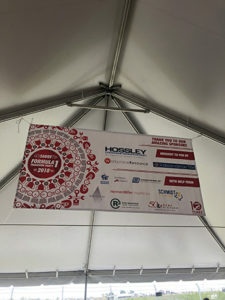 The ACC Foundation and American Constructors appreciate the support of the sponsors and participants alike, who made year one of the event a success. Not even the weather could slow the enthusiasm of the group! 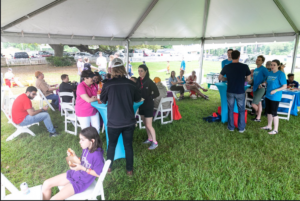 72 people participated on the water, with nearly 200 showing up for the after-party across the street for crawfish, grilled cheese sandwiches, and tasty libations. Photos from event and winners of the paddle battle can be found (here). 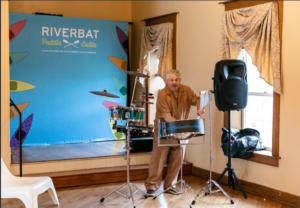 For being the first year, the Riverbat Paddle Battle is off to a tremendous start! And as a side note, did you know that the mascot for Austin Community College is the RiverBat? Quite appropriate here in Austin, don’t you think? A new paint color can give your home or office a quick, easy, and inexpensive refresh that brings the change and focus you need for new year projects. For all your painting and staining needs, trust an Austin original, Clement’s Paint. The Benjamin Moore supplier has grown from a single shop in 1986 to five locations around the city. 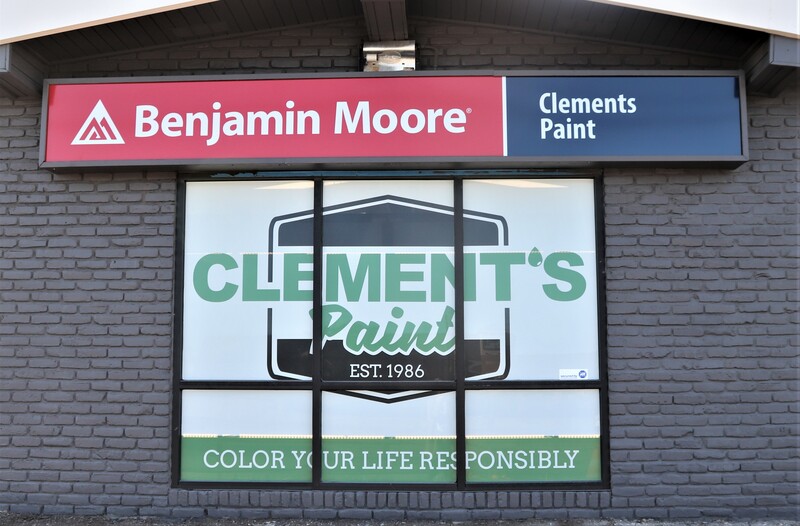 From Allendale to Westlake, Clement’s has you covered (in paint!). Clement Ebbo and his team have worked with Miller IDS for over 3 years to create signage and marketing collateral that distinguishes them as the high-quality paint experts in the Austin area. 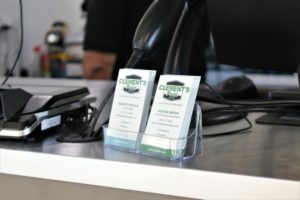 Clement’s strives for brand recognition with their logo and marketing materials. Purposefully designed with a nod to the past and their signature green color, Clement’s logo emphasizes the quality service and is recognizable around Austin and at their stores. To the left, you see the window perfs at their newest location on I-35. 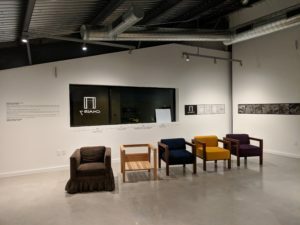 The colorful displays prominently feature their logo at the front of the store along with popular spots around Austin such as the 360 Bridge, Mueller, Lake Austin, and the Long Center. 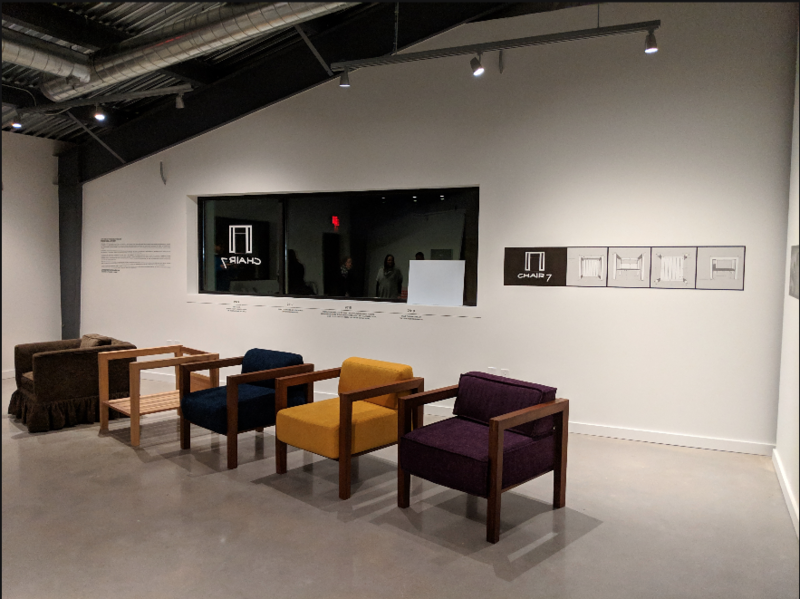 Each location featured in the window perfs also have the corresponding Benjamin Moore paint colors so you can color match your home, office, or future project to different Austin landmarks. To the right, Miller has printed business cards as well as vinyl decals, and other signage used around their stores. 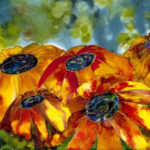 Miller has purchased paint from Clement’s for several years for different projects around both of our locations. Ordering is always convenient and quick because they keep all customers’ orders on file for quick color matching and reordering. Visit any of their five Austin-area locations to complete your new year projects with high-quality Benjamin Moore paints and stains or visit their website here. 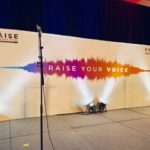 Need a refresh on your signage needs? Or maybe you’re looking for a wallpaper that matches your newly painted room? Miller IDS has you covered. Call us today or email info@MillerIDS.com for custom designed and printed business cards, banners, signage, and more. 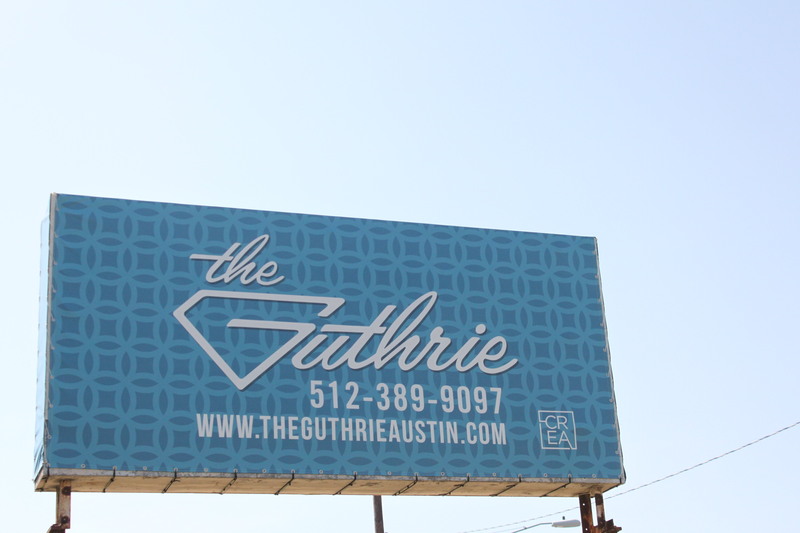 Miller IDS loves that our 7th Street is in Austin’s culturally vibrant east side, surrounded by so many great restaurants and shops. 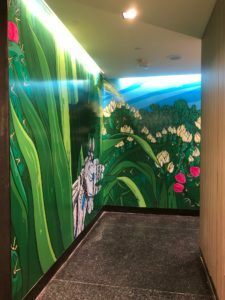 We anxiously await trying delicious new eateries, from barbeque to Asian-fusion, while watching stylish new apartments and condominiums go up. Being a trusted, Austin-grown business, Miller IDS loves to watch the Austin community grow and flourish. 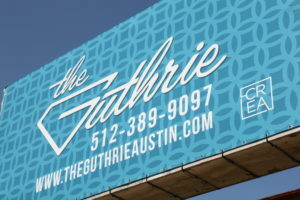 This is no exception as Cypress Real Estate Advisors (CREA) opens its newest apartment complex, The Guthrie, further east at 7th and Gonzalez later this year. This new residential space focuses on community and east side living with a convenient locale to downtown Austin. The 322 unit community offers everything from rooftop common space, fitness center, a sparkling pool, along with quartz countertops and stainless-steel appliances. 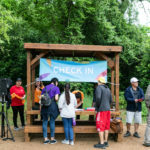 Local neighbors include HEB, Hope Farmer’s Market, La Barbecue, Zilker Brewing Company, Sa-Ten, and Launderette as well as the Lady Bird Lake Hike and Bike Trail and our friends at Austin Bouldering Project. 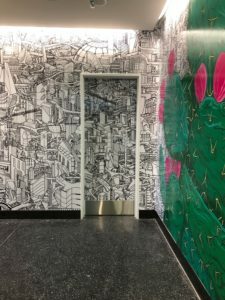 Miller IDS is thankful to work with CREA after wrapping their elevator doors at their East 5th apartments, Corazon. 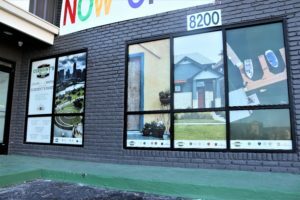 We have printed a variety of outdoor signage for the site including full-color mesh and vinyl banners and directional signage on aluminum and coroplast. We look forward to the opening of the apartment complex later this year and the new residents that continue to make Austin the place we’ve called home for almost 100 years. 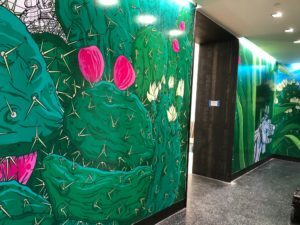 Kenzie Shepperd, Brand Manager for CREA, was generous to give us a rave testimonial from our work with them: “Everything was done quickly and executed well. I wanted something unique and eye catching, but a quick get in the environment. Ryan and Chase made it happen! Within a matter of days I had the first round of proofs to review. Any edits I had were addressed within the day. Overall smooth process, and everyone is happy with the result. Coincidentally the sign got tagged over the weekend, and I texted Ryan a picture and he responded immediately with solutions. I appreciated the quick response and effort to rectify the situation.” Thank you to Kenzie and CREA! We look forward to working with you in the future! 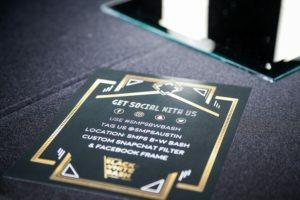 Modern conveniences and mobile phone-based technology have changed the way Austinites live and do business. 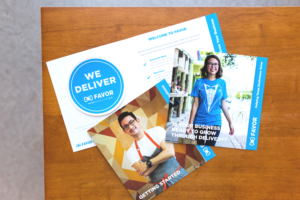 Last spring Miller IDS began printing marketing and promotional materials for Texas-based Favor Delivery. 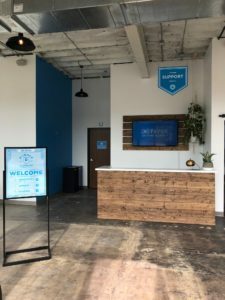 The app-based company began in Austin in 2013 and focuses on delivering to you in under an hour. From your favorite enchiladas from Chuy’s to a flash drive from Best Buy you can call in a “favor” on their app and a “runner” will get it to you. We have printed several internal and external marketing and branding materials that promote building the relationship between the Favor customer, runner, and merchant. Favor’s teams use these brochures to educate businesses on their unique system and help Texas businesses grow. 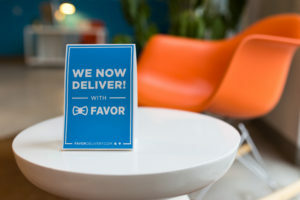 Favor has set themselves apart through their ability to get things to people fast. 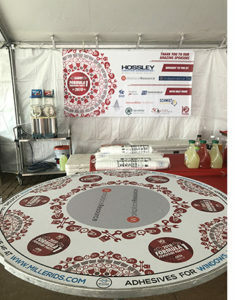 On the right, see both the table tent announcements for restaurants as well as signage for their Dallas Runner Clubhouse. Favor is a favorite for Miller IDS, both as one of our customers and as an app we frequently use. 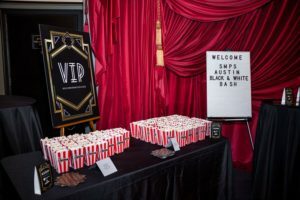 We love supporting Austin and Texas based restaurants and companies that build and strengthen communities (and feed our stomachs with delicious foods). 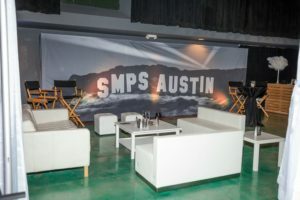 With Austin’s food scene continuing to grow, Miller IDS is prepared to help restaurants with menus, business cards, and customized interior and exterior banners and wall and floor graphics from design to production and finally, installation. Miller IDS’s own Graphics Accounts Manager, Ryan Bruce, works directly with Favor to provide high quality products that are used across Texas. 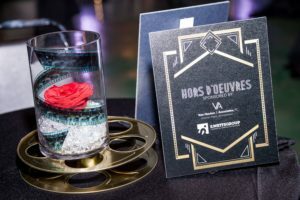 Chris Rogge, Art Director at Favor, gives this glowing recommendation about his experience with Miller IDS: “The team at Miller is always excited to jump on our projects and always willing to jump on the phone and talk about how they can make it happen. 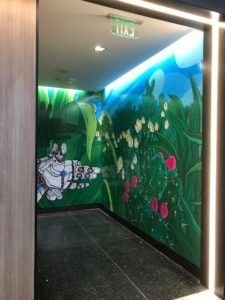 They work in such a timely manner and are giving updates along the way, and always produce high quality products and have great attention to detail. We know Miller will be an integral part of Favor’s growth and expansion and we look forward to each and every project with them!” Thank you Favor for these great words of recommendation! 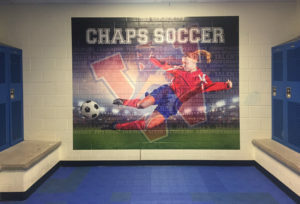 Creating Powerful Graphics for a High School Soccer Team was the Goal! This past spring, Miller IDS partnered with the Westlake High School Girls Soccer program to assist in a total graphic identity rebrand. We worked closely with their parent’s sports association to coordinate and produce this fully-integrated campaign. To begin, we helped design large, permanent wall graphics for their Varsity and JV locker rooms. 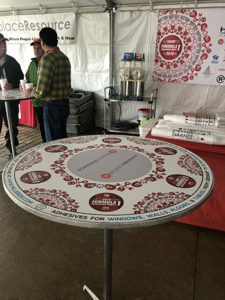 After printing the designs in-house, the Miller IDS team, powered by a large supply of breakfast tacos, installed them on-site. Additionally, we printed two la rge, weather-resistant team banners, which were hung in the stadium and also proudly transported to playoff games. 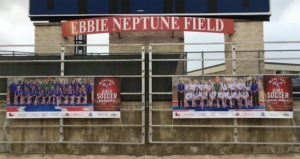 Efforts included printing individual player banners, plus printing team posters that the players autographed and hung throughout their community and sponsor’s businesses. 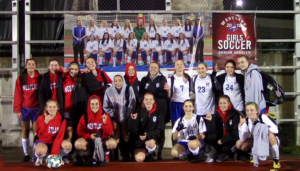 The Chaps team, coaches and parents were grateful to be so well represented. As more school programs, sports and otherwise, are embracing the power of eye-catching graphics campaigns, Miller IDS is fully capable of assisting your team from start to the final whistle. This month we celebrate one of the Miller IDS/Blueprint greats, Lee Bothe. 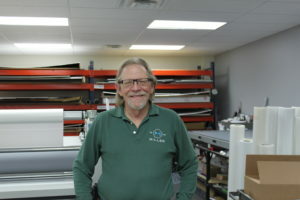 Lee has worked at MILLER for almost four decades and continues to come in every day with a smile on his face and a story locked and loaded to share with his co-workers. As he retires this Friday, April 20th 2018, we want to extend a great thank you to him for 38 years of service to the company. MILLER is so appreciative for his work, experience, and dedication to both the company and the Miller IDS/ Blueprint family. Lee Bothe at our 7th Street Location. Around MILLER, Lee is known as a kind, reliable individual and a great storyteller. While recounting his favorite times at MILLER, he remembers when now-owner Luci Miller hosted a Halloween costume contest. He retells the story through laughter as he reveals the “workaround costumes” that his department put together. Having a t-shirt press at the time, they made t-shirts that hosted a picture of the Creature from the Black Lagoon on it and the slogan “Official Costume”. Lee laughs that “of course the department ended up winning the contest”. 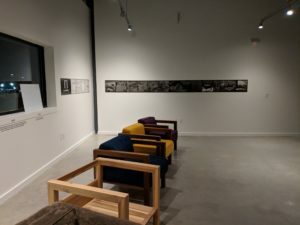 More recently, Lee describes one of his proud moments that came during SXSW, when a customer gave him a genuine thank you, and he saw pictures of his work being admired by others. Luci and Bob presented Lee with a certificate for his service! Lee says that he is excited to retire but will miss the routine of coming to MILLER every day. “I’ve been doing it for 38 years! It is going to be weird to not get up in the morning and come to MILLER.” Lee says he is going to miss the companionship and comradery that comes with working at MILLER. Lee expressed, “when I came here, I didn’t think I would last four to five years! 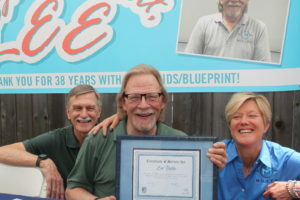 I never expected I would be the oldest, longest tenured employee at Miller IDS!” Lee, however, is excited to have the opportunity to move into the Texas Hill Country and travel with his wife, dog, and to visit his children along the way. Miller IDS is losing a good one. Lee is an institution here and we are sad that it’s already time for him to retire. We are, however, excited for him to enjoy life more fully with his loved ones. Thank you so much Lee for 38 years of service with MILLER, it’s truly been a pleasure!